Cornmeal is a meal (coarse flour) ground from dried maize or American corn. It is a common staple food, and is ground to fine, medium, and coarse consistencies, but not as fine as wheat flour. In the United States, very finely ground cornmeal is also referred to as cornflour. However, the word cornflour denotes cornstarch in the United Kingdom. Stone-ground cornmeal retains some of the hull and germ, lending a little more flavor and nutrition to recipes. It is more perishable, but will store longer if refrigerated. However, it too can have a shelf life of many months if kept in a reasonably cool place. White cornmeal (mielie-meal) from white corn is more traditional in Africa. It is also popular in the Southern United States for making cornbread. Blue cornmeal with a light blue or violet color, ground from whole blue corn, has a sweet flavor. The cornmeal is dried corn kernels that have been ground into a fine or medium texture. Blue corn has significant spiritual importance for Native Americans in the southwest. According to the Navajo people, blue cornmeal is a traditional healing food that has strong ties to the Navajo culture. I've shared this story before, but wanted to shared the story again. When I was a little kid, my dad and I would go fishing. Dad would fill the cooler with soda and water. Mom would make us sandwiches and chips. I'd help dad load the truck up with fishing poles and fishing tackle boxes. Dad would crab the coolers. And off we go with the boat in tow behind us. I was so excited about fishing with dad. We did a lot of fishing at Lake Champlain. Beautiful lake. Lake Champlain is a natural, freshwater lake in North America. Locate within Vermont and New York, but partially situated across the US and Canada border. You may have heard about the mystery around Lake Champlain, the Champ. Reminiscent of the Loch Ness Monster, Ogopogo. Champ is a giant aquatic animal that makes the lake it's home. Sightings have been sporadis over time. Locals have developed something of a fondness for the creature. At one of the parks on the lake, there's a huge sign of Champ with names of folks who have seen Champ. I have never seen Champ. In a dish, add egg and beat. In another dish, combine cornmeal, salt, pepper, onion powder and seafood seasoning. Season fish with salt. Dip fish in egg, then dredge in cornmeal mixture. In skillet, heat oil over medium heat. 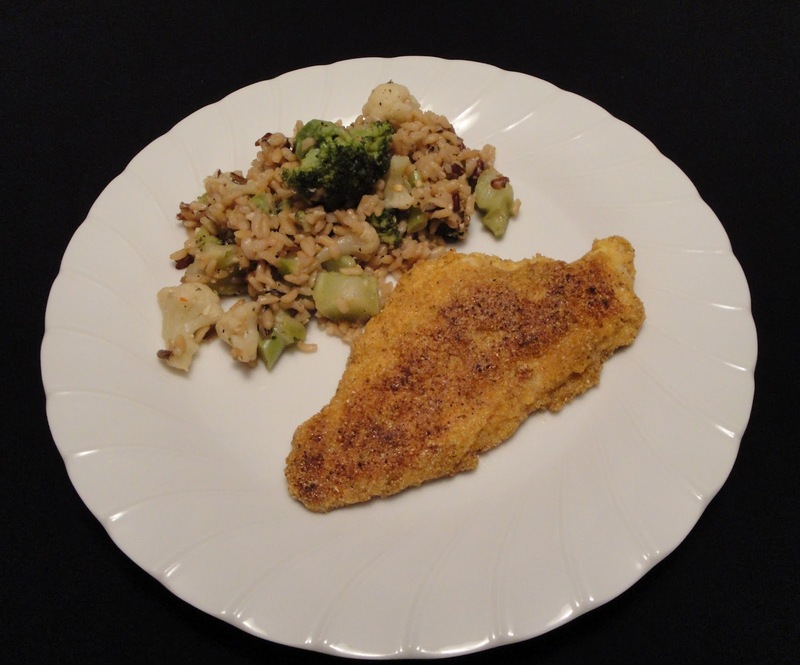 Place fish in skillet, cook about 5 to 8 minutes, turning once, cook until fish flakes easily with fork. Place fish on cooling rack, until ready to serve. Enjoy! Ooh, that's beautiful--look at the brown sear on that crust! Classic Southern cooking. Haha, we went on vacation a few years ago to Burlington. My husband had a great time searching for Champ. We didn't see it either. Looks great... you got some beautiful coloring on that fish... Delicious! I look forward to reading your blog, Christine, no only for your great food, but the HISTORY. I love American History. I look to you for my food history! Great recipe. I love catfish! Thank you so much, Just for Cooking! That means a lot to me. LOVE corn meal....and wish I wasn't allergic to fish! Thanks for sharing the history AND the personal story! Catfish is one of the Southern things you gotta love. I like it with some corn fritters mmm...so good. I love fish! Using onion powder is a fantastic idea. It has been awhile since I had catfish! Your picture here is so enticing, makes me want to get some at the store. It is hard to believe that the fish here is pan fried, it looks so golden and crispy. Thanks for the history and the great recipe! Hi Christine! I love catfish but I usually cook with panko or corn starch breaded and deep fry. I need to try it with corn meal because I have a lot of corn meal that I used for baking but I don't know what else I can use it for. Thanks for the recipe! That looks like a very appetising meal...one can never get enough of fish, they are so good for you! Believe it or not I've never heard of the Champ before! Ha! Great story. :) Funny I was just talking about how much I enjoyed catfish and I really wanted to try it out. Now I have a chance. Great, simple recipe! We love making catfish fry. I should try this! Cornmeal breading sounds good! Thanks for stopping by. I just love hearing from you. You are important to me. I love fried catfish, there is nothing like it. Great job, on my way to cook some now for dinner. Thank you, The Cookinglady! Enjoy!